What would it mean for your online business if you could get unlimited unique and rich content posted automatically to your blogs? Big Content Search will provide the articles for all your blogs. And with 128,000, there's a little chance you'll go empty handed. Optionally, you can send the content to an article spinner for automatic unique content. Not only will Big Media Scraper add relevant videos and images to your content, we'll also bold the important keywords, italic a random sentence and automatically add headings where relevant. 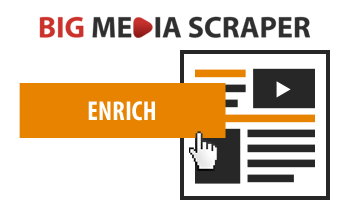 Big Media Scraper also works on its own - just upload a ZIP and download blog posts. As simple as it gets. Enter your credentials, create a campaign and add keywords. Everything else is setup and managed by the plugin. 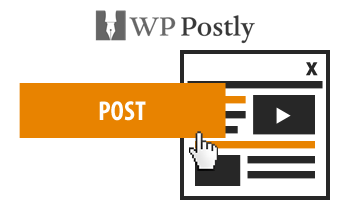 WP Postly keeps everything simple and to the point - no need for a hundred different settings. Source files from Big Content Search, send the article to an article spinner, enrich text and add images and videos, then automatically post everything to your blog on a regular basis. One-step, only a few clicks. It's really the easiest way to post content to multiple websites. And today, you can get both the plugin (value $47) and the app (value $127) as one-time payment for just $77! Do you already have BigContentSearch membership? If not, check out our latest BigContentSearch Offers! BigContentSearch is a source of more than 200,000 PLR articles from which WP Postly makes your blogs. We're so absolutely sure that Big Media Scraper and WP Postly will help your online business that we're offering an unconditional, NO-question-asked 60-day money back guarantee. If they do not deliver for you, you have a 100% No Questions Asked, Money-Back Guarantee. Just send us an email and we'll refund you 100% of your money, with no questions asked. You can only profit from this deal!